Praetas brings your business’ technology full circle by supporting your Hosted VoIP Phone equipment and service. We also sell, configure and train you on Hosted VoIP services. What’s Hosted VoIP you ask? Well VoIP mean’s “Voice Over IP” – or phone service over the internet. Hosted (vs. on-premise) means your phones connect to a cloud (internet)-based phone server and aside from the phones themselves, there is no other on-premise equipment. There are on-premise VoIP systems, but we believe less on-site equipment is better, and so we only recommend the Hosted flavor of VoIP phone systems. Fully Customizable Call Flows and Schedules – handle calls differently during the day, at lunch time, when you’re closed, on weekends or holidays. You can have custom actions on different days at different times, and can put your phone system to work for you – set it up to answer common questions, or insulate your employees from constant distractions by having certain calls go straight to voicemail. You can even have different numbers follow different call flows, depending on where and how you have that number advertised! Voicemail to Email – voicemail can be delivered to individual emails or groups of emails and is readily playable through your computer speakers, phone, tablets, etc. and because it’s in an email, can be retained forever and pulled up to reconfirm what was said, whenever you need it. 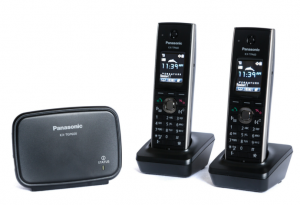 Corded and Cordless Phones – There are a wide array of phone options from a variety of manufacturers, but we tend to prefer and suggest Panasonic’s line of corded and cordless VoIP phones, including the Panasonic KX-UTG200 desk phone, Panasonic KX-UTG300 reception phone with Bluetooth and optional side car, and Panasonic TGP600 Cordless Base capable of supporting up to 8 cordless handsets. Fax to Email – With our preferred vendor, Nextiva, vFax is included at no additional charge and you can use your same, existing fax number! This means not only can you get more paperless, but faxes can be delivered to individual emails or groups of emails, and like the voicemails, can be retained forever and pulled up to reconfirm what was sent, whenever you need it. You can also send faxes through a portal or by email, or can purchase a 1-time fax bridge adapter to use an analog fax machine with the free vFax service. 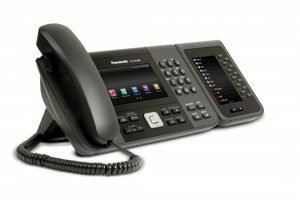 Number Portability & Additional Numbers – Although most customers only need to port their main number and fax number, you can port any and all numbers you wish for no additional cost, and can request extra numbers, such as DIDs (direct inward dial) numbers to bypass your call flow and directly ring individuals at their extensions, whenever you need them. No More Busy Lines or Busy Signals – Since Hosted VoIP doesn’t use physical phone lines, you never have to worry about having an open line to make an outbound call, and never have to worry about an inbound caller getting a busy signal or going straight to voicemail. Calls will always come in and if all your employees are on the phone, the call will ring and go to the next step in the call flow if no one picks up. Similarly, no matter how many people are on the phone, you will always be able to pick up your phone and make outbound calls. 24/7 Support – Our preferred vendor, Nextiva, is Arizona-based and offers 24/7 support in the US, and in Eastern Europe after hours. Their techs are highly skilled and can remotely fix most, if not all, phone system problems. Since their service is Hosted, it means they can make all the necessary corrections on their end, in realtime! If you are tired of your phone system or service, and are looking to make a change, please call our office at 561-223-2177 to find out more information on how we can help.